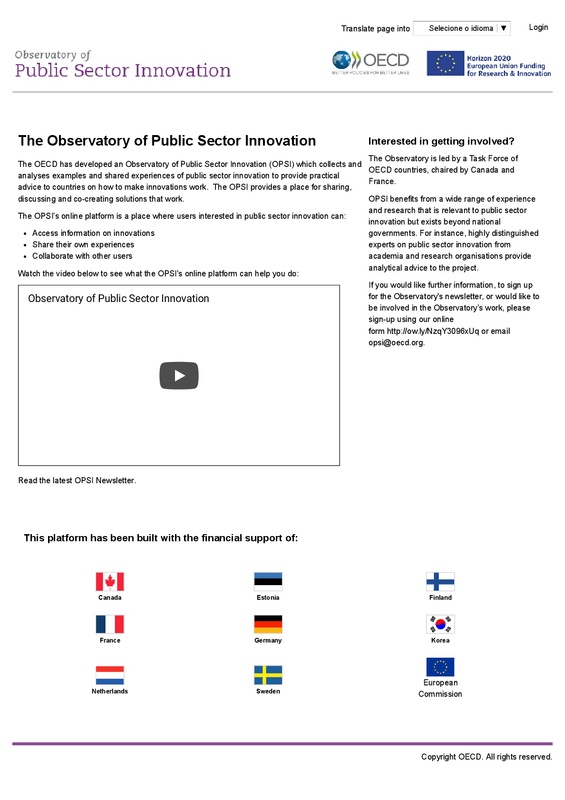 The OECD has developed an Observatory of Public Sector Innovation (OPSI) which collects and analyses examples and shared experiences of public sector innovation to provide practical advice to countries on how to make innovations work. The OPSI provides a place for sharing, discussing and co-creating solutions that work. OECD, “Observatory of Public Sector Innovation,” Curadoria Enap, acesso em 22 de abril de 2019, https://exposicao.enap.gov.br/items/show/289.